Over the weekend, many developers and Google enthusiasts got their hands on the new Chromecast. It’s a $35 HDMI dongle that streams YouTube and Netflix videos to your HDTV, but with some work, developers are looking to make it a much more intriguing machine. The folks at GTV Hacker successfully rooted the Chromecast, bringing lots of neat info surrounding the little stick into light. 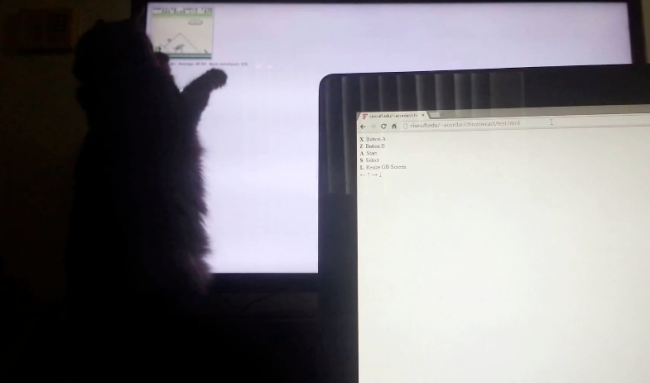 After this all took place, a hacker over on Reddit was able to get a Gameboy emulator running through the device, then proceeded to allow his cat to make a demo video. If you didn’t already know, the guys at DL love cat videos. With all of this accomplished, you can bet that the Chromecast’s future is looking pretty bright in the eyes of developers. And if you’re a developer looking to get in on the action, GTV Hacker is a good place to start.